Have you always wanted to be a paid professional speaker? This course can help launch your career. Have you or someone you know always wanted to be a paid professional speaker and didn’t know where to start? 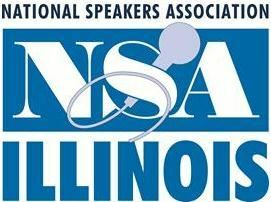 The Illinois Chapter of the National Speakers Association (NSA Illinois) Speakers Academy is a six-session course is designed to empower starter speakers with the tools and skills they need to become professionals. The National Speakers Association Illinois Chapter announces Speakers Academy. This course empowers starter speakers with the tools and skills they need to become professionals, ready to take the stage, launch a career and inspire others. Starting on March 9 at NIU in Naperville, the 2019 spring session features a stellar faculty, led by two former NSA Illinois presidents, Colonel Jill Morganthaler and Conor Cunneen. For more information and to apply, visit https://www.nsa-il.org/Latest-Speakers-Academy. Presented by professional NSA Illinois members, Speakers Academy provides the critical information aspiring professional speakers need to quickly launch and grow a successful public speaking business. The program focuses on how to develop and market to people at corporations, associations, and organizations who hire—and invest in—keynotes, workshops, consulting and training. Class size is limited, so register early. To apply visit https://www.nsa-il.org/Latest-Speakers-Academy. A local chapter of the National Speakers Association, NSA Illinois advances the art and value of those who speak professionally. NSA Illinois seeks to create a professional and supportive environment where speakers can develop their business, improve their skills, and network with peers who are interested in everyone’s mutual success. To learn more visit http://nsa-il.org.